The Rand is trading under 14 to the dollar on the back of Finance Minister Tito Mboweni‘s announcement that government would not carry Eskom‘s debt. The Rand was trading at around 10 cents stronger than Tuesday’s close. Some analysts had forecast that government may be forced to give the power monopoly as much as R200 billion. However, the market appeared to like Mboweni’s announcement that government would be providing Eskom with R23 billion for each of the next three years while the utility restructures. Mboweni said there were strict conditions attached to the money. Company law expert Professor Tshepo Mongalo says there is still lack of clarity on the role of the Chief Reorganisations Officer (CRO) proposed by Mboweni. Mboweni announced that all struggling State-Owned Enterprises will be given a Chief Reorganisations Officer to monitor their turnaround plans. According to Mongalo, the relationship between a Chief Reorganisations Officer and the Board must be clearly defined. PWC Tax Expert Kyle Mendy has raised concerns about the budget proposals to raise R15 billion in taxes in personal income tax under the current economic climate. Government has proposed increasing the tax free threshold for personal income taxes from R78 000 to R79 000. Mendy says there is no more room for government to increase such taxes. Meanwhile, opposition parties have been generally critical of Mboweni’s budget. The Democratic Alliance (DA) says the budget lacks a comprehensive plan to fix the economy. The Economic Freedom Fighters (EFF) has slammed Mboweni for failing to detail job creation plans and not reducing VAT. The United Democratic Movement (UDM) says it is alarmed that Mboweni made no mention about Expropriation of Land Without Compensation. The Freedom Front Plus says the early retirement of public servants and the current debt levels are concerning. Leader Pieter Groenewald also says government needs to ensure the success of farming projects relating to land reform. The African Christian Democratic Party (ACDP) says it is worried about continued expansion in the budget deficit meaning that government is spending more than it is receiving in taxes. “We are concerned about the increase in the budget deficit. Last February, the then minister said it will be 3.8% and now we’re looking at 4.5%. That places massive pressure on our government debt levels which are now looking at R2.2 billion. But there was some good news looking at reducing the public sector wage bill. He was very firm about the state-owned corporations and we hope that he’ll be able to implement that and implement the turnaround strategy that Eskom requires,” says ACDP MP Steve Swart. 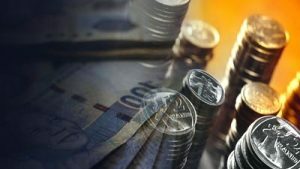 The post Rand stronger after Budget Speech appeared first on SABC News – Breaking news, special reports, world, business, sport coverage of all South African current events. Africa's news leader..